SEOUL, South Korea--(BUSINESS WIRE)--RSUPPORT (www.rsupport.com) (KOSDAQ:131370), a remote support and control solution provider for global cloud service, announced the global launch of the paid version of ‘Mobizen Mirroring’ mobile app, a specialized advanced remote control function of ‘Mobizen’. The core functions of the original Mobizen App have been divided into Screen Recording and Remote Access. RSUPPORT launched ‘Mobizen Mirroring’ in March 2016 separating the app and services. ‘Mobizen Mirroring’ has exceeded 6.8 million downloads globally in 10 months after its launch. ‘Mobizen Mirroring’ consists of a ‘Basic’ version with features targeted to individuals and businesses free-of-charge and a ‘Professional’ version featuring advanced functions available as paid version (monthly or yearly). ‘Mobizen Mirroring Basic’ allows connection with USB between PCs and mobile devices or P2P in local networks; remote control of mobile screens using web browser; and file transfer between PCs and mobile devices. 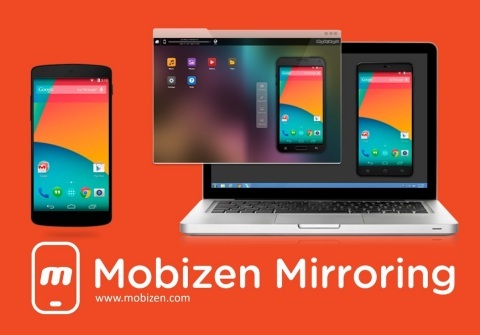 ‘Mobizen Mirroring Professional’ provides advanced functions, such as connecting using relay servers between PCs and mobile devices enabling 3G, LTE and WiFi; support of iOS mirroring; recording mirrored screen; and of course, all ‘Mobizen Mirroring Basic’ features. The ‘Basic’ version is recommended for those who mainly use the remote control with mobile devices for presentation or testing in a local environment (ex. same room), and the paid version ‘Professional’ service is for those who want access to various functions regardless of operating systems of mobile devices. To celebrate the launch of the paid version of ‘Mobizen Mirroring’, RSUPPORT is offering discounts up to 50% until the end of March 2017. For more information on ‘Mobizen’, please visit its website (www.mobizen.com). ‘Mobizen Mirroring’ can be downloaded from Google Play Store. RSUPPORT launched paid service of smartphone screen sharing and remote control App 'Mobizen Mirroring' globally. Paid service version, 'Mobizen Mirroring Professional' provides advanced functions.